If you are in the market for a lifted truck, you should take your time and do some research before making a decision. 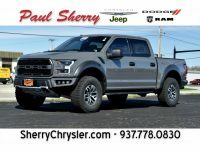 Always opt for a lift from a high-quality converter and sold by a reputable dealership like Sherry 4×4. Otherwise, a poor-quality lift can put your safety at risk and void your truck’s original warranty. 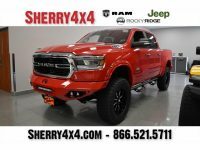 Not only are all lifted trucks for sale at Sherry 4X4 of the highest-quality, but they maintain your original warranty as well. 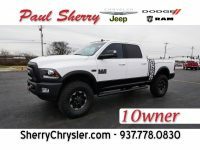 As you check out our selection, you will notice that we carry lifted trucks that are based on RAM or Jeep models. 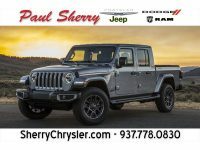 We opt for those particular conversions because of the amazing reputations RAM and Jeep have as manufacturers for building high-quality models that can take a beating and handle off-road adventures while lasting for well over a decade. After all, a lifted truck will do best if it is based on a regular truck you can already count on. All of our lift kits are done by Rocky Ridge Trucks, and we are one of the few dealers in the country that they trust to sell their vehicles. Rocky Ridge has more than three decades of experience converting trucks, vans, and more, giving them the skill and knowledge to make reliable conversions that deliver adventure. 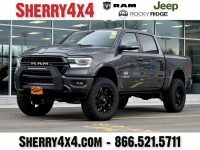 The Rocky Ridge trucks we offer all include suspension lift kits plus wheel and tire packages to account for the added ride height. 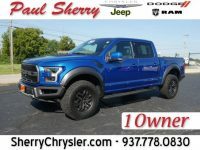 They also feature Rocky Ridge badging and a range of additions inside and out, such as unique bumpers, towing winches, and stylistic changes. We always aim to offer a wide range of lift kits from Rocky Ridge, but some tend to be more popular than others. For the Jeep Wrangler, the most popular Rocky Ridge conversions we stock are the K2 and Summit. For the RAM, the most popular conversions are the K2, Alpine, and Altitude. 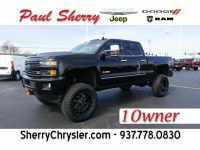 When buying your lifted truck from Sherry 4X4, you get more than just a model you can count on. We also pride ourselves on our customer service, aiming to deliver a seamless shopping experience to customers regardless of what they plan on buying. 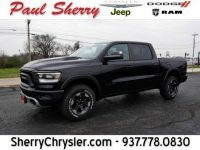 Our dealership also offers financing to help put your dream of a Rocky Ridge conversion within your reach. We work with multiple national banks and local credit unions to get you the best possible rates, which allows us to help those in a range of credit situations. 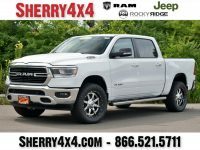 A unique service we are proud to offer at Sherry 4X4 is delivery. 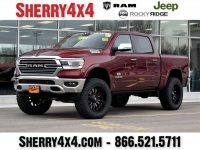 Since we are one of a small handful of Rocky Ridge dealers in the country, we do our best to ensure everyone has access to their lifted trucks regardless of where they live. This is why we offer delivery to all fifty states. 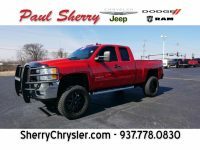 Our service is reliable and makes it possible to get a lifted truck from Sherry 4X4 even if you live on the other side of the country from our Piqua, Ohio, dealership.